Real culinary heartbeat pumps through the pub with a unique attitude driven by our dedicated chefs and the team. The Style is proudly British, and very local, taking influence and ingredients from Norfolk where possible. 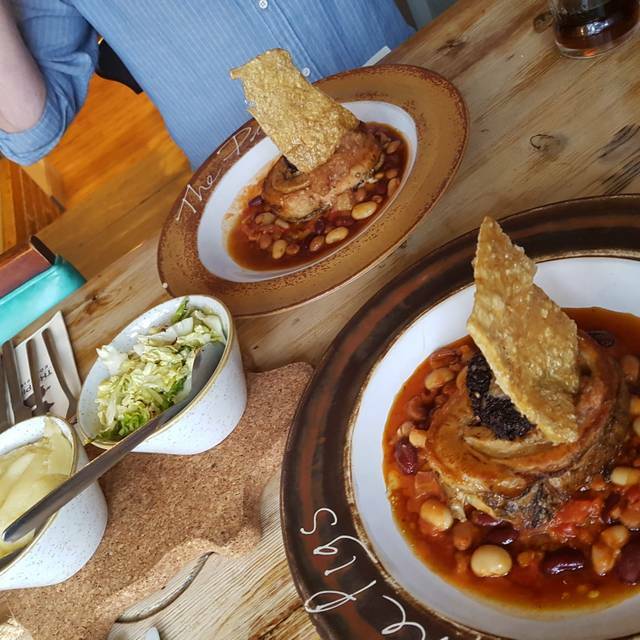 You will see dishes from the past, back in vogue at The Pigs, cuts of meat forgotten in recent years, used to great effect on our menus. 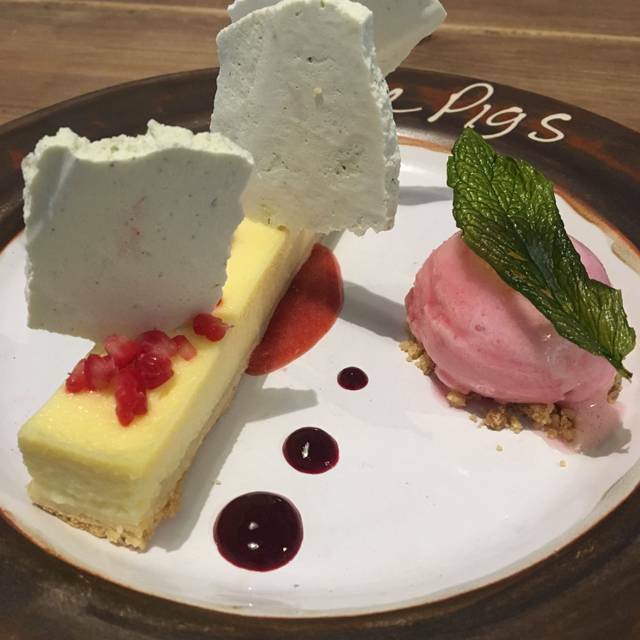 Although the food is taken very seriously, the style of service and environment is very relaxed and casual. 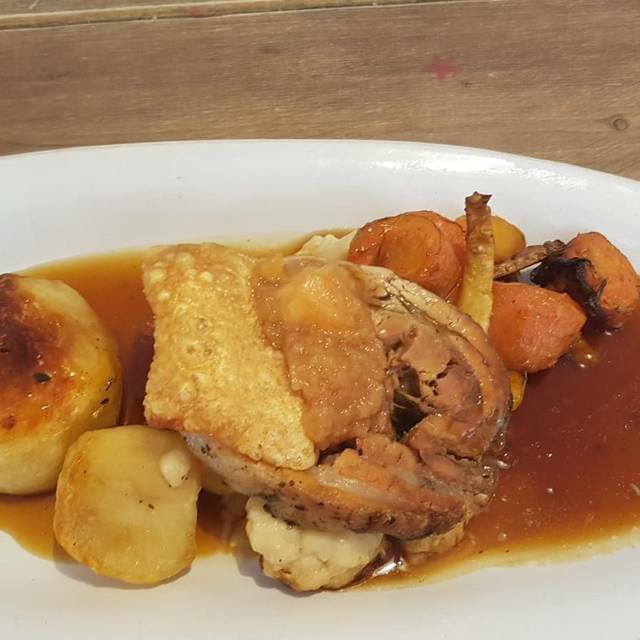 This is a country pub, and although we are passionate about our food, we stay loyal to the building’s roots and ensure it has the atmosphere we all relish from a pub. Please help yourself to the breakfast table and then choose one of the following. 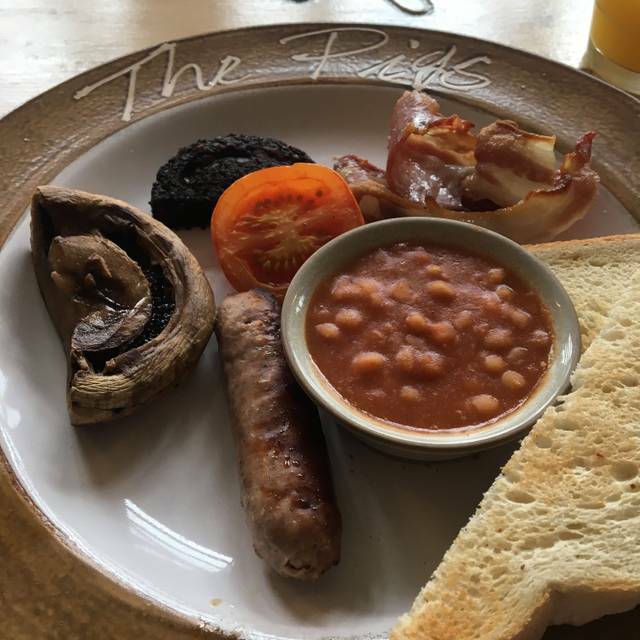 Smoked back bacon, Perfick Pork sausage, smokey bacon beans, black pudding, butter fried double yolker. Poached double yolker, slow roast tomato. 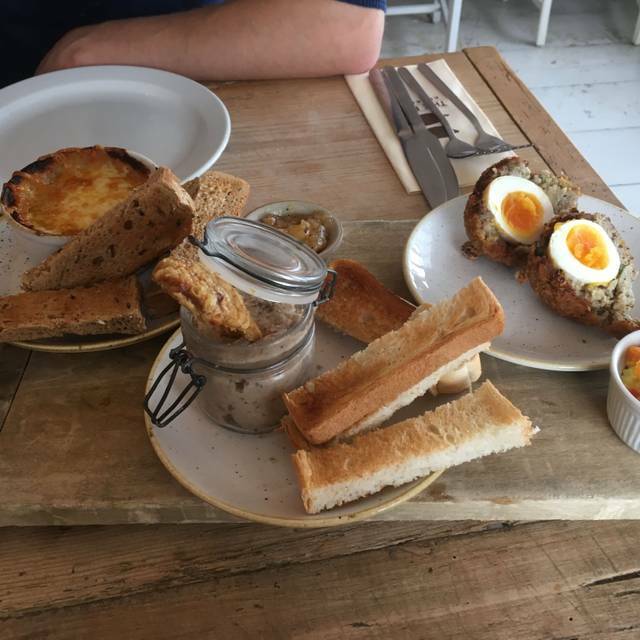 Soft poached egg; the chefs cook the kedgeree fresh for you, there may be a little wait so if you fancy some toast, muffins or extra tea, coffee and juice please let us know! Made with Woodfordes Wherry, Norfolk Dapple cheese, Colman's grain mustard on thick crusty bread, apple chutney. House Blend, Earl Grey, Peppermint, Camomile or Green Tea. Americano, Latte, Cappuccino, Mocha, Espresso. Whilst the overall experience was ok the pigs fell short in two areas for us. The service at dinner was not good , the side order of roast potatoes was slow coming (we were well into our meal which was already cool when served, when the potatoes arrived). The second area was that we could not use the jacuzzi because it was already fully booked for the day we arrived and we were told that the following day was a spa day and that it would not be available. This was very dissapointing and rather dampened the overall experience. Fabulous!! Thank you very much for a lovely breakfast! Booked this as an overnight stay as a birthday present for my girlfriend. Upon arrival we were advised that we couldn’t use the spa facilities although it was advertised as included within our stay. We then also did not have any hot water in our room. The staff were very unhelpful about the matter and said there was nothing they could do about it as our room was on the same boiler as the restaurant and it would take half an hour or so to kick in. There were no rooms available to swap and we were advised we would still be charged if we were to leave and not stay. After an hour of asking about the hot water I went down again because it was still cold, again nothing they could do. Then 5 minutes before our dinner reservation we got a knock on the door saying that they have been in touch with their engineer and there has been a fault on the boiler. At this point we had both had cold showers. Then whilst having our dinner we had a half hour wait for the drinks which we ordered and our breakfast the next morning took over an hour to be served. I am appalled by the lack of customer service throughout our stay and the lack of empathy they showed to our situation. After looking forward to staying there through hearing great things through friends and family, I would definitely not recommend this to anyone. Nice setting, warm welcome and it all started so well!! Initial experience was great, pleasant staff got our drinks order in quickly and taken to our table. Ordered starters which came quickly and eaten with gusto very acceptable. It was after 3-15 so the lunch time rush had finished but then we had to wait for nearly 40 minutes!! Managed to get the attention of a waitress, who sort of seemed interested in our predicament, she said she would check and within a few minutes our main courses arrived! Food was good, but no check back and the wife was desperate for another drink! All but when the main courses had been eaten managed to get a waiter attention and got my wife a drink. Same waiter offered us dessert options, it was rude not to, again very acceptable, the best treacle tart served with lemon clotted cream I’ve had in ages! Just disappointing the wait for the main meals and the lack of interest re the predicament took the shin off otherwise an enjoyable afternoon! 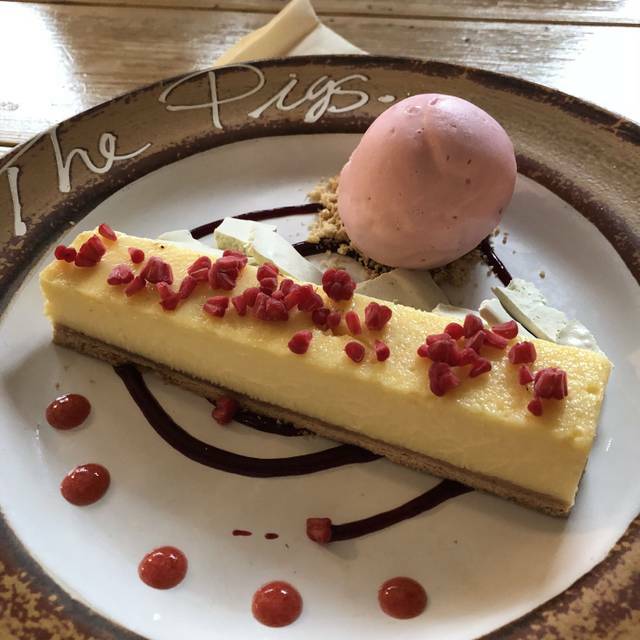 The Pigs is an absolute gem of a restaurant! 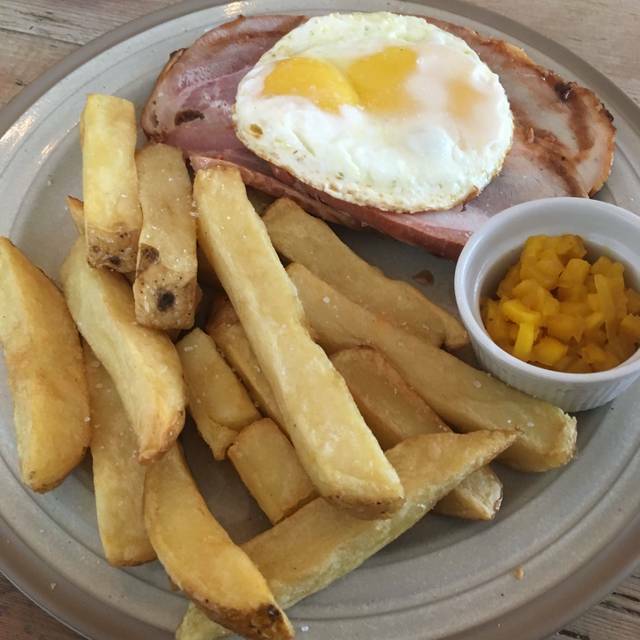 The staff are friendly and welcoming, there's a lovely mix of spaces to sit, service is fast without feeling rushed (even on a busy day) and the menu is always varied, fresh, and enticing. My fiancé and I have been coming here for years (it's actually where he proposed) and we'll definitely be coming back. Fabulous lunch on Easter Sunday. The staff are fantastic and the food is delicious. Five stars! Generally nice. However, service was very slow and we had to wait 30+ minutes for both courses to arrive. Would have loved to have had a dessert but couldn't bare to wait another 30+ minutes! As the veggie burger was not available it meant the mains was a mix of iffits. Can’t understand why there would be so little choice. Wouldn’t recommend to friends if there is a vegetarian or vegan amongst them. Unfortunately our food was 50 mins in so we had a lengthy wait. It was also over cooked. Sausages were like rubber in the beef sausages and mash. The children’s meals look lovely and the homemade fish fingers went down a treat. Maybe they should make an Adults version of that. I’d get it. The cost is a touch high with beef sausages and mash and onion gravy costing a whopping £13. No veg included. The children’s meals were the same size and a lot cheaper and more appealing. We will go again to give them the benefit of doubt but I think they need to rethink what they cook for value and size. The food yes it was outstanding, with the money, noise was high due to the amount of children, think maybe a separate restaurant for hotel guests would be a good idea. The whole experience was perfect, the room was incredible, staff were very attentive, the food was amazing me and my partner had the lamb dish to share which was the nicest lamb we've ever had, would certainly return and recommend. 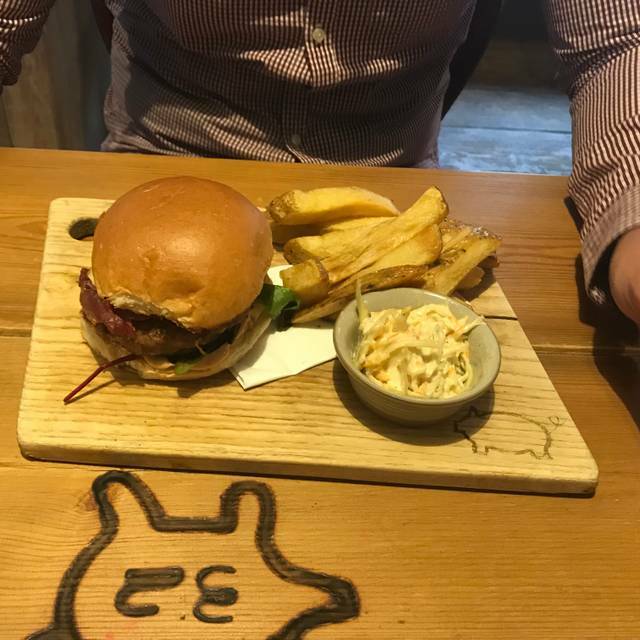 It was are first visit to the Pigs as we got a voucher for Christmas,we had a lovely meal and the service was also very good.we would defiantly come back . First time at The Pigs and not disappointed. Lovely food, great service and ambiance. Will definitely go again and even stay. Great food, not pretentious and decent portions. Ambience is nice and relaxed, perfect for after a spa session. Loving meal and hospitality. Great service and great quality food. Love the quaint building and all facilities 5star! Stayed BB- 15 mile breakfast very filling! Evening meals were lovely too, very tasty & not too pretentious. Good hearty food, good value. Great food, and great location. We really enjoyed our visit to The Pigs, especially the Norfolk tapas!! On reflection though, we wouldn’t go during school holidays. A great foodie end to our holiday, thank you! We stayed in a Spa Suite, which was lovely. Slightly disappointed with a couple of things. Our room wasn’t ready until 3.45. We were asked if we wanted a drink whilst we waited, but there was no mention of this being on the house (we did get the drinks off our bill before leaving but had to mention it). Secondly, we went for an evening meal .....the wine was just left on the table unopened whist the main meals (we had steak) were luke warm and the sauce watery. It was a big disappointment and we didn’t complain as we were away to enjoy our anniversary. We chose not to order desserts and returned to our room. Our Spa Suite was amazing, lots of little touches with creams/scrubs etc. The Spa staff were wonderful and very helpful and couldn’t do enough for us. A wonderful stay with delicious food for my husbands birthday, thank you all. If you don't have a large appetite , I would suggest that one of the tapas type starters would be enough. Excellent staff,very professional and thoughtful when dealing with my celiac needs. Friendly comfortable atmosphere. The whole experience at the pigs has been amazing. The food is out of this world and the staff are so welcoming and polite. I am gutted I've had to leave but will definitely be back .. best steak ever!! This is the second time I've been here and I have to say this time I was really disappointed, we booked for a treat to bring my mum for Mothers Day after our first visit was really good, my mums food came out cool and the steak was really grisly, mine and my partners chips were very dry and overcooked, where we were sat was cold as right near where the kids go outside so door constantly being opened, it's a shame as we had such high expectations after our first visit. Great food served in a amazing environment! Food was fresh and tasty and service was good. The staff were nice and helpful. The food was ok but over priced for simple food. The service poor because we had to wait for long extended periods of time between each course. Supreme chicken was far from supreme !!! Service by young girl was pleasant. celebrate our 43rd wedding anniversary. Always an enjoyable experience. Food excellent and service to match. Lovely food and attentive staff as always. We will definitely come back. Food was good, beer prices too high, but the noise from the end room and the the room to the left was extremely loud. Wonderful dinner at The Pigs. Great choice and everything we chose was absolutely delicious! Lovely relaxed atmosphere with top notch food and service. Just wish we lived closer! Absolutely lovely. Had a Great overnight stay as a break from the kids. Will definitely be back. Rooms was amazing, food was incredible and staff and area is lovely. First visit here and was very impressed with ambience and food and standard room. Really tasty food. Good amount. Very good service. Relaxing atmosphere. Can't wait to go back! Never been to the Pigs before but heard a lot about it. , was our wedding anniversary in November, and our family bought us a gift card for the Pigs, We both enjoyed everything about it ,the meal was amazing . We will definitely will return . Lovely place to eat after a dog walk. 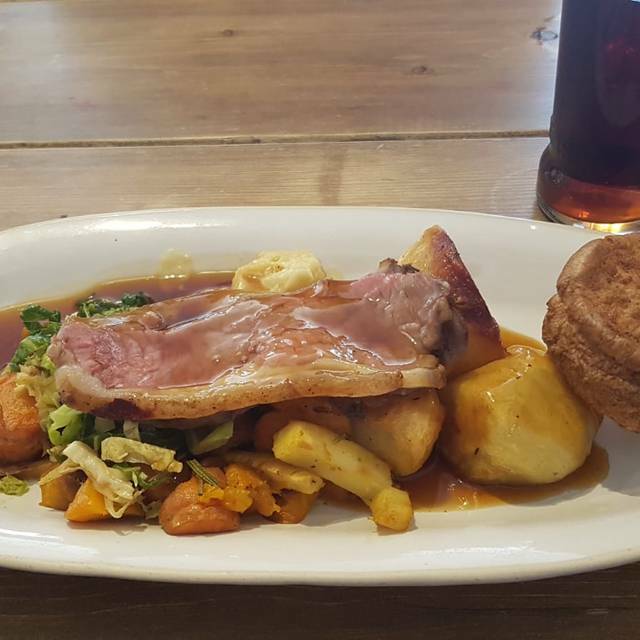 Lovely food-don’t arrive after three on a Sunday if you want a roast as they often run out.